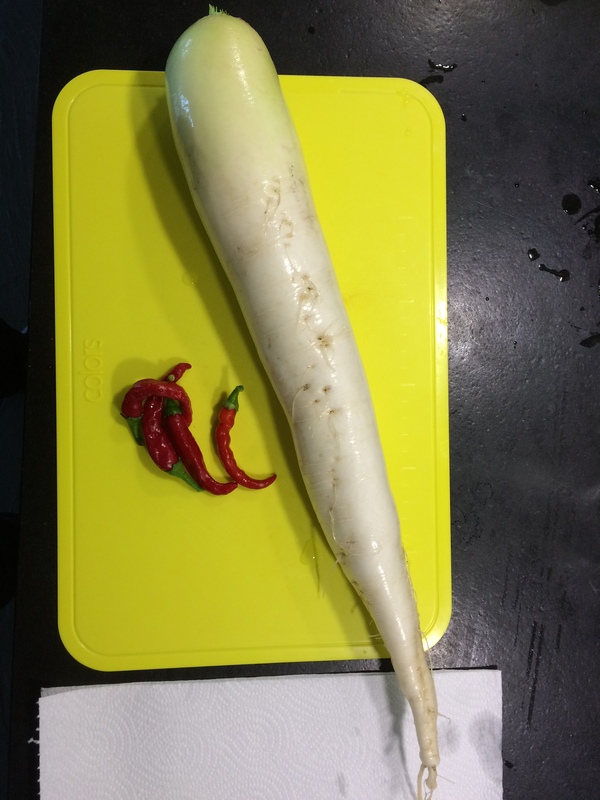 Cut the daikon in the length and then slice it in 2 mm thickness. 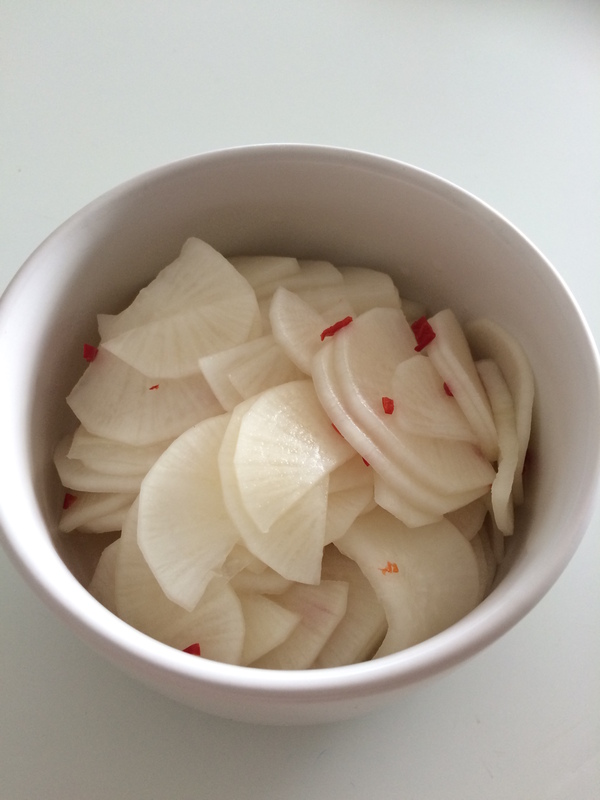 Clean the chillies from the seeds and sliced them thinly. 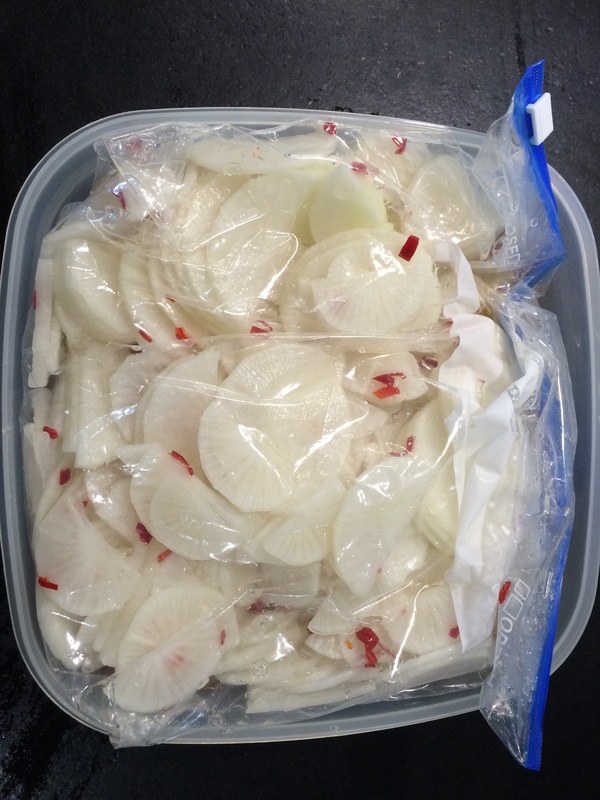 Put the daikon and the chillies in the Ziplock and then add the rest of the ingredients previously mixed. Try to let all the air out before you close your Ziplock and put it in the fridge. I turned every day the bag to make sure all ingredients were evenly spread and we ate them 6 days later ( a couple of days would be enough already). Enjoy!